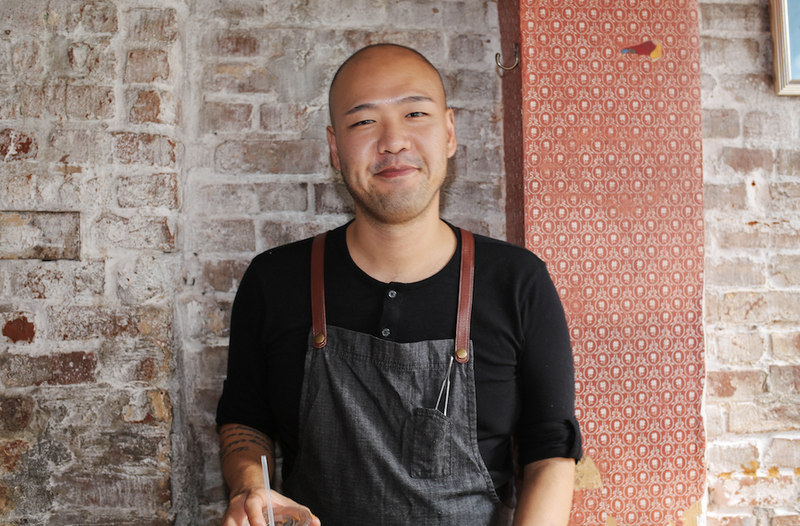 South Williamsburg's Loosie’s Kitchen is celebrating Chinese New Year with a menu inspired by Executive Chef Henry Lu’s childhood. Chef Henry grew up in the Bronx where his family owned and operated Chinese restaurants, which he lovingly refers to as his “daycare, after-school program and first job.” He’s taken that nostalgia and used it as inspiration to recreate his family traditions for a Chinese New Year feast at Loosie’s. The party is hilariously called “We Are All Pigs” Chinese New Year Party with a buffet-style menu and house party vibes. Food highlights include Fried Spring Rolls stuffed with bean sprouts, garlic, and ginger, BYO (Build Your Own) Steamed Buns with pickles, cilantro, hoisin, char siu, tofu, veggies and Steamed Fish in ginger, galangal, and lemongrass water, covered with oyster sauce and scallions. So who is the man behind the phenomenal Loosie’s menu and this fun party? Chef Henry has had the privilege of working side by side with notable chefs such as Cedric Vongerichten (Perry Street), Matthew Lightner (Atera), Naomi Campbell (Beast), Carmen Quagliata (Union Square Cafe) and George Mendes (Aldea). Graduating from the French Culinary Institute in 2013, Henry was taken under the first winner of Bravo’s Top Chef Harold Dieterle’s wing at his highly acclaimed restaurant Kin Shop, a modern Thai restaurant in the West Village that paved the way for upscale Thai restaurants in NYC. Post-Kin Shop, Henry joined Chef Richard Kuo (WD-50, Corton, Aska, Babu Ji) and the team at Pearl & Ash, which earned two stars from The New York Times and a spot on Bon Appetit’s Top 10 Best New Restaurants (2013) all during Henry’s time in the kitchen. Kuo ran a challenging kitchen that elevated Henry's palate and skillset. When Chef Kuo departed, Henry assisted incoming Chef Trae Basore (Colicchio & Sons) with reinventing the menu and was promoted to Sous Chef. He’s also held Sous Chef roles at modern Indian bistro Babu Ji and Williamsburg’s hit Peruvian spot Llama Inn under Chef Erik Ramirez (recently nominated for Best Chef NYC by the James Beard Foundation). Celebrate CNY with Loosie’s on Tuesday February 5 at 91A S 6th St, Brooklyn.